Summer is officially over and fall festivities are beginning. Whether you enjoy hikes in the mountains or hayrides on a farm, there is one activity that embodies all that is fall: apple picking. The Grow Organic Apples Holistic Orchard Network is a collection of organic apple growers across the United States, parts of Canada and South Australia. The network believes in sustainable farming that focuses on an orchard’s holistic health. Check out a few sustainable orchards from the Holistic Orchard Network below (and enjoy fresh picked apples)! Located just south of the Wisconsin-Illinois state line, Orchard Ridge Farms is a 100 percent naturally and organically grown orchard that spreads across 130 acres. Orchard Ridge Farms does not use chemical insecticides, fungicides or herbicides, and is free of GMOs. The farmland is also home to the owners’ private estate, a pavilion, other organic gardens and its Copperstone Inn. 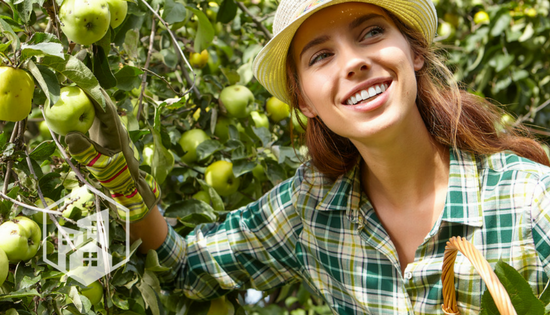 With more than 10,000 apple trees, Avalon Orchards is a Pro-Cert certified organic apple orchard in Innisfil, Ontario, about 50 miles north of Toronto. The orchard is inspected every year, and is in compliance with both Canadian and the USDA organic programs. 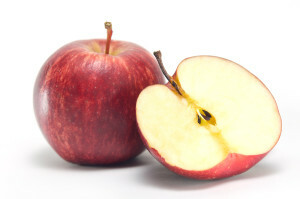 Avalon Orchards uses specific apple varieties that are naturally disease-resistant, such as the sweet Redfree, Nova MacIntosh and Red Nova Spy. The orchard offers a 45-minute tour, including a wagon ride and a bag of apples for each person. In an area known for grapes and wine, Gopher Hill Apples specializes in heirloom apples in Grass Valley, California. The orchard has more than 30 different varieties of apples (and a few pears) spread across land that sits 2,650 feet above sea level and gets about 55 inches of rain per year. Although we praise the orchard’s emphasis on healthy farming practices, that’s not its only special quality. Gopher Hill Apples is close to Lake Tahoe, the largest freshwater lake in the Sierra Nevadas (a stunning attraction on its own). Close to Gettysburg and nestled in the south-central part of the state, Oyler’s Organic Farms & Market is a Pennsylvania Certified Organic orchard, and has been for more than eight harvests. The orchard is also a member of the Pennsylvania Association for Sustainable Agriculture and part of the Gettysburg Wine and Fruit Trail. If you’re looking to learn how to make cheese, do Zumba on a farm or arrange floral pieces, then you’ll be happy to know Oyler’s Organic Farms & Market holds educational workshops throughout the year. Situated eight miles off the Mississippi River bank in Minnesota, Hoch Orchard & Gardens is a family-owned, Midwest Organic Services Association certified farm. The owners have planted Crimson Crisp apples, which are a disease-resistant variety, and produce thousands of bushels of apples each year. Hoch Orchard & Gardens uses National Organic Standards Board approved products to help aid the growth of its crop. If you like a nice glass of wine while you pick apples, it has plenty of alcoholic juices to choose from.